Japan's Nasa Hataoka won the Kia Classic by three strokes to seal her third LPGA title. Hataoka, 20, carded six birdies in a five-under-par 67 on Sunday to finish on 18 under in California. She trailed South Korean Park In-bee by a shot going into the final round, but the former world number one closed with a one-under 71 to tie for second. World number one Park Sung-hyun, Ko Jin-young, Danielle Kang and Azahara Munoz also finished on 15 under. 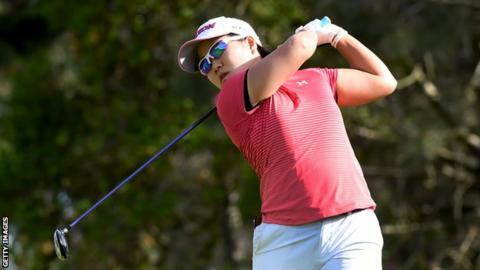 Hataoka was five under for the day when she found the water on the 16th hole, reducing her lead to two strokes, but she then birdied the 17th before finishing with a par. "The first couple days I wasn't putting very well, so I didn't really think I could pull this off," Hataoka said. "Until the 18th hole, anything could happen - but I was just very relieved that my second shot landed on the putting surface." The world number five is the sixth different winner in as many LPGA tournaments this season - the third year in succession this has happened.